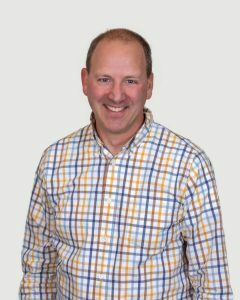 I owned and ran a full-service dental practice in Stanwood from 1999-2016. But a series of interesting medical events happened that forced me to step away from dentistry for awhile. When the smoke cleared in 2017, I realized that I wanted to continue the career for which I felt I was built. And that’s when I got the call out of the blue from Dr. Bob Feasel, a good friend and colleague. I took the keys and got back to it. Lyons Creek Dental Care in Shoreline is just an extension of what I created years ago: enjoying listening to our patients’ life stories, hearing what is most important about their care, shaping a plan to fit those priorities. I offer solutions for simple, general dentistry, or more complex, specialized issues with orthodontics, surgery, and cosmetics. My wife and kids are the best part of my life story. So may things are going on with them, and that is a fortunate thing for me to focus on for the coming years. Being a bigger part of the Seattle community with my family means we’re running non-profit charitable dental care organizations, educational foundations for the kids’ schools, coaching their sports teams. But somehow there’s still a little time to enjoy the things I grew up doing: playing music, climbing mountains, riding bikes. Here’s to keeping that plan going strong. To your health!